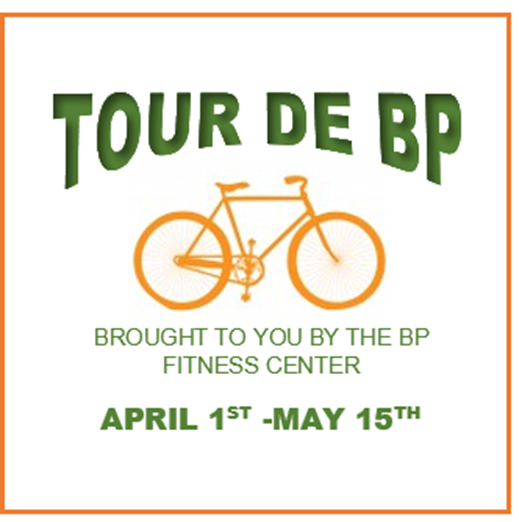 2019 “Tour de BP” Cycling Challenge! 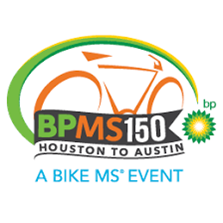 Join us for a virtual ride from Houston to Austin--in honor of the BP MS 150. The goal is to complete 10 classes in 8 weeks starting Monday, April 1st through Friday, May 15th. If you complete the 10 classes or a Wellbeats virtual program from this challenge, they will go towards your 16 classes to receive 125 LOCAL ACTIVITY POINTS as a part of our Group Exercise Program. On the walls located by the Group Exercise Studios you will see the map of 10 BP MS 150 route highlights. You will be able to track your classes/workouts along the route as we race to Austin. Write your First and Last Name on the posted tracking sheet to prepare for the race. All classes must be recorded on a daily ride ticket to be entered in a drawing for a PRIZE! As you complete a class, place a stamp (located by the tracking sheets) next to your route, so that we can track your progress along the race. PRIZES TO THE FIRST 20 PEOPLE WHO COMPLETE 10 CYCLING CLASSES! This year we would like to support the 2019 BP MS 150 Ride for a cure for Multiple sclerosis by taking donations for the National MS Society. Visit the link below to donate to “TEAM BP”. Recognition to the participant who donates the most money! Wellbeats BP MS 150 - 4 week training plan. This plan is for the fitness enthusiast who loves to cycle and wants to increase cardio capacity and overall fitness. Train like a competitive cyclist as you work on speed, power, and endurance. Recovery days offer mobility, flexibility and core work to compliment your time on the bike. Grab a friend and join the ride! Check out the 4 week program calendar! Program copies also available in the fitness centers. Use the Wellbeats on demand classes in both facilities. Classrooms are available when we do not have an instructor led class going on. Class displays on our huge projection screens and plays over our sound system. It is an awesome and fun experience that will get you in shape! Any staff person can show you how easy it is to get started.